After two and a half years, the time has finally come and I will be leaving Arizona to further my career with the NWS. Later this year, I will be moving back to my home state and joining the NWS office in Cleveland, Ohio. I have no doubt that more epic journey's await! In the meantime, however, I wanted to look back at the trips I have taken across the Southwest. 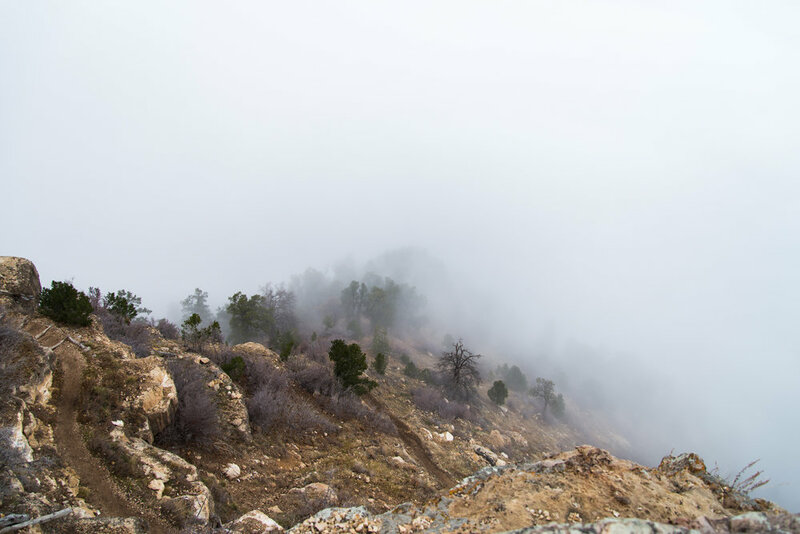 This is Part I of a multi-part blog series that I will be writing, each focusing on a different trip/hike I took. There are far too many trips/hikes to cover them all, but I will take a look back on each of my favorites. 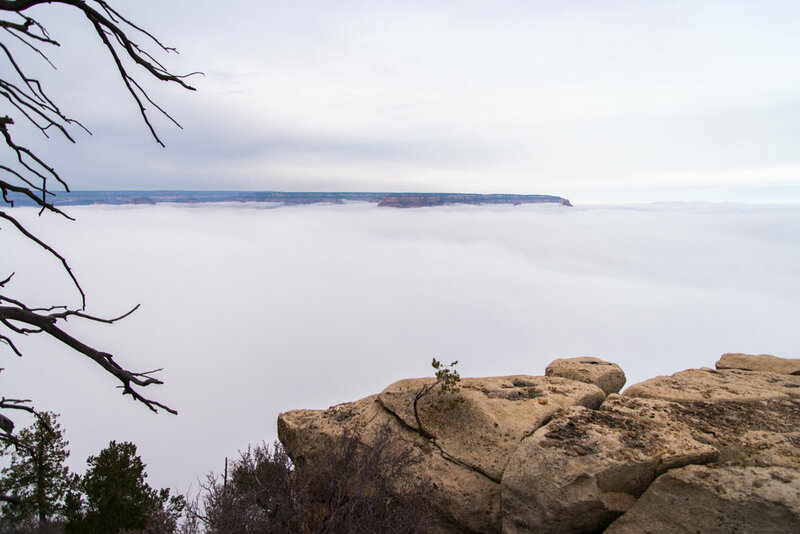 I visited the Grand Canyon many times over the past two and half years, but none were as unique as when the canyon was filled with fog and stratus clouds. 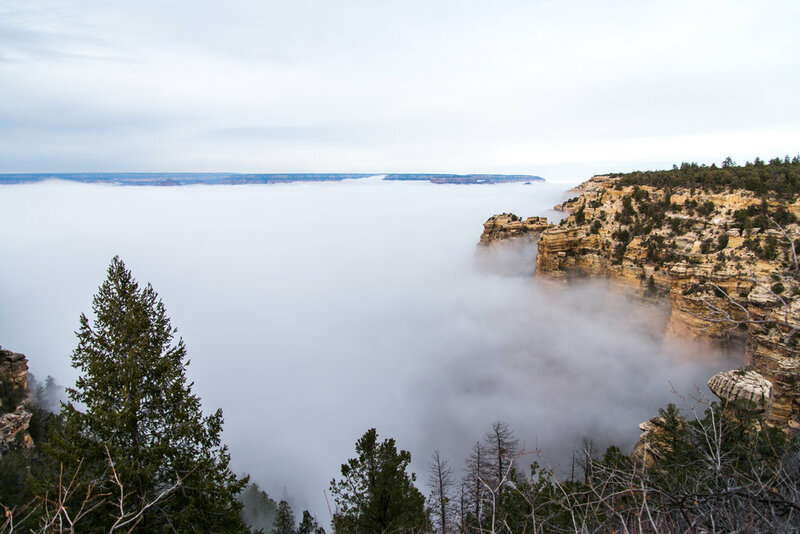 On average, once every three years an inversion sets up under just the right conditions for low clouds and fog to fill the Grand Canyon. I was fortunate enough to have this occur during my first winter in Arizona (December 11, 2014). After finishing my shift at work (3:30am - 11:30am), I immediately made my way up north to the Grand Canyon in hopes of catching this phenomenon before the clouds dissipated. I was able to make it in plenty of time, and what I saw was pretty incredible. 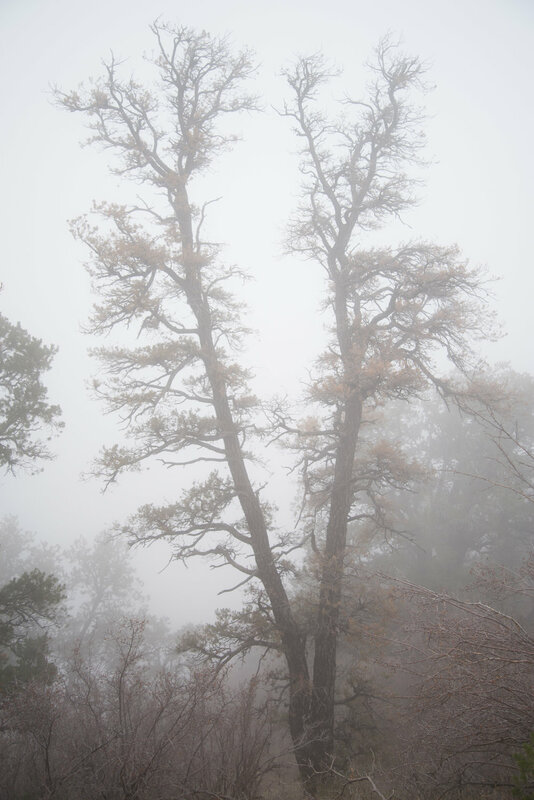 Not only was this my first trip to the Grand Canyon when it was filled with fog, it was my first trip ever to the Grand Canyon. 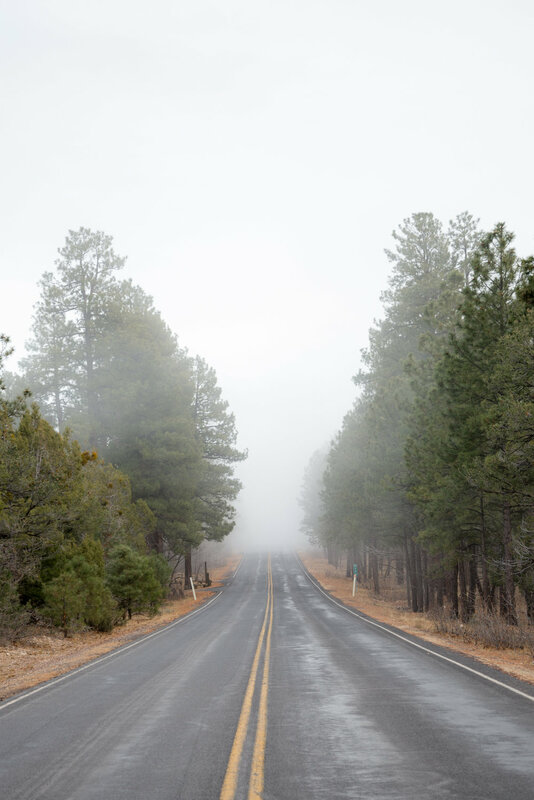 Dense fog would occasionally roll out of the Grand Canyon and onto the road along the South Rim. 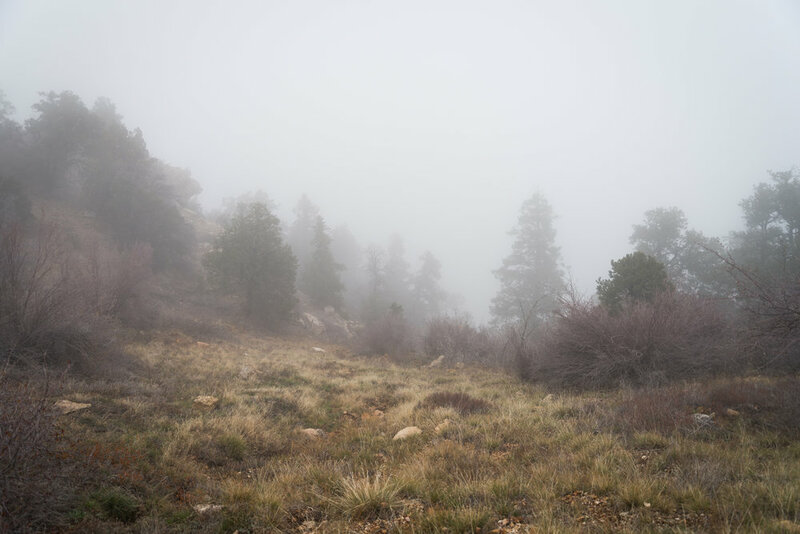 I didn't arrive at the Grand Canyon prepared to hike, but I decided to venture down a little ways into the fog anyways. 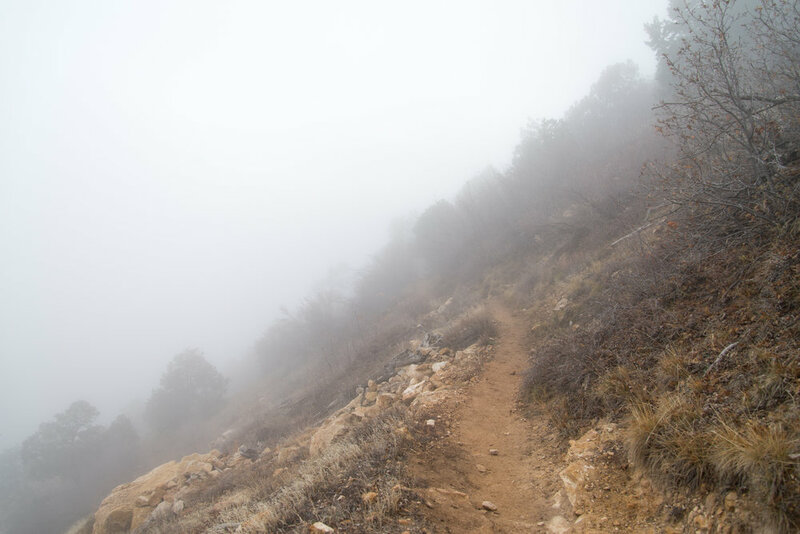 It was a little eerie, and I was the only one on the trail! There was just enough of a break in the clouds aloft for the sun to peek out around sunset. 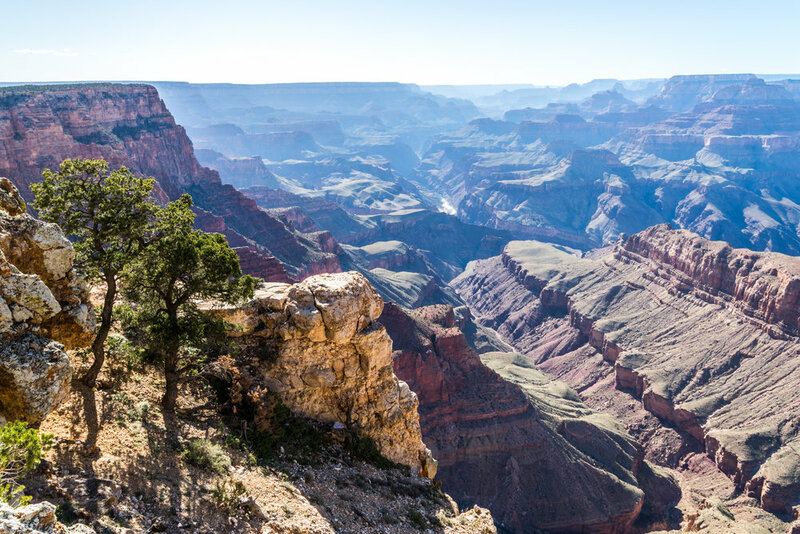 I visited the Grand Canyon on three other occasions, two of which I hiked down the North Kaibab Trail and up the Bright Angel Trail. 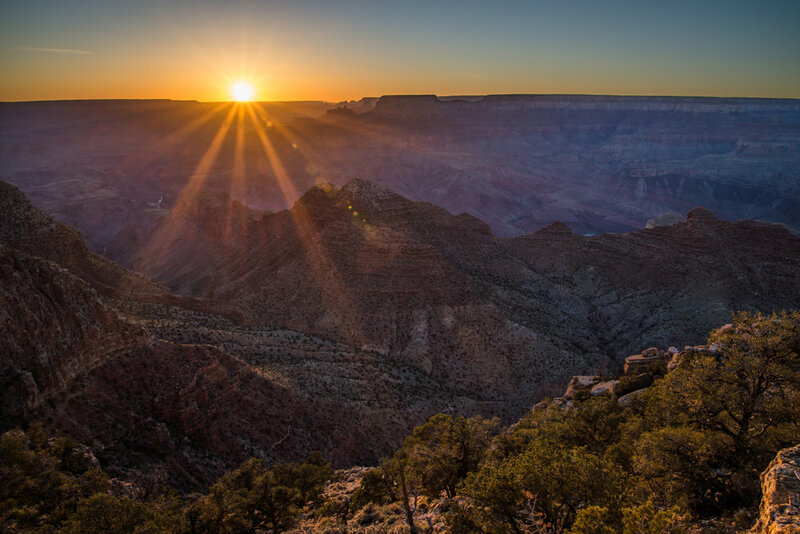 During my second trip to the Canyon (April 13, 2015) I did not do any hiking, but rather went to all the viewpoints and found a spot along the South Rim for a sunset shot. 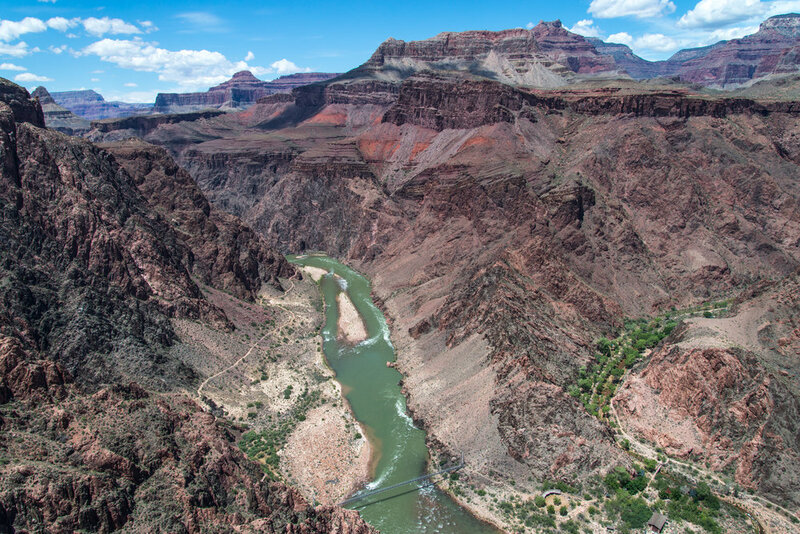 You can see the Colorado River snaking through the bottom of the Grand Canyon. I went on this trip with my buddy, Justin, who at the time was living in Las Vegas. During my third trip to the Grand Canyon (May 14, 2015) I hiked down to the bottom for the first time with my parents as they were out visiting. 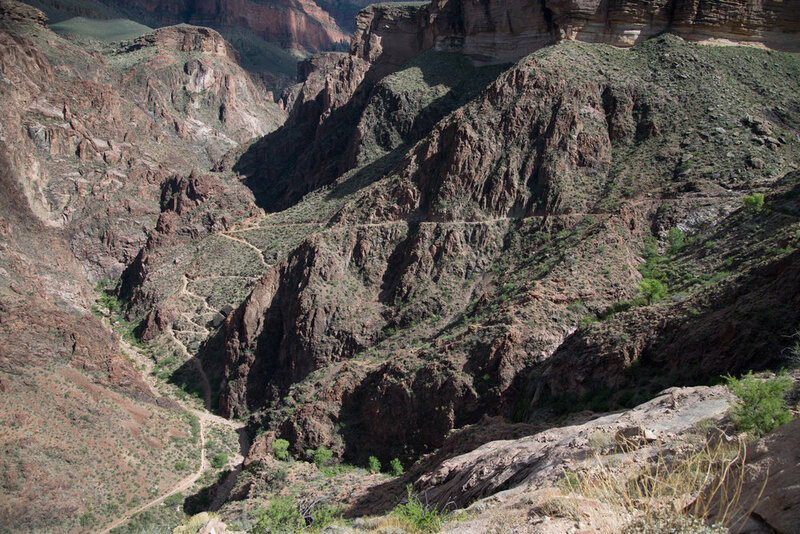 We hiked down the North Kaibab Trail and up the Bright Angel Trail. 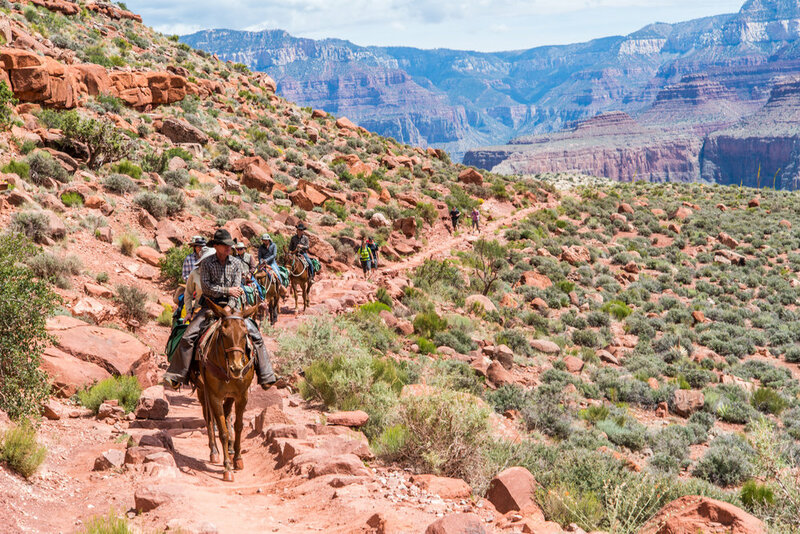 You really gain a whole new respect for the Grand Canyon when you hike down and out in a day! We started our hike around 10 AM and were able to make it back out just prior to sunset. 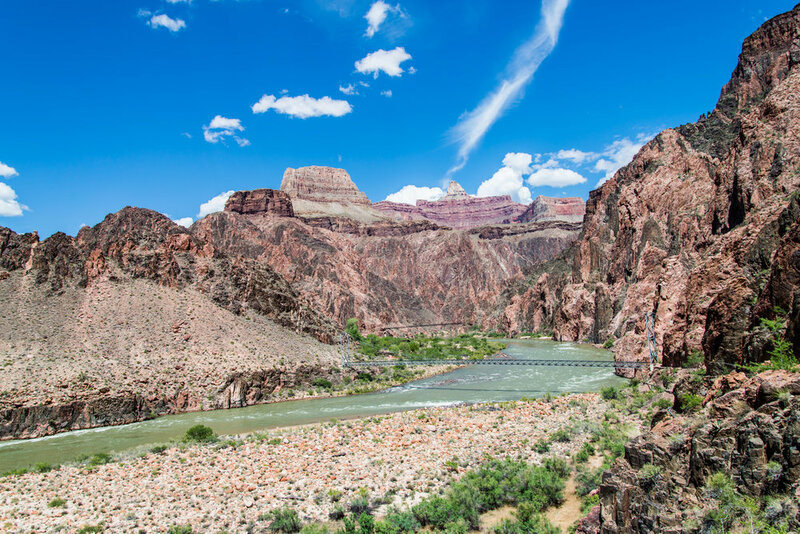 If you are planning on hiking the Grand Canyon, make sure you do it during the spring or fall months, as the summer is far too hot. Even during this trip in May it was around 80 degrees at the bottom, but only around 50 degrees at the top. 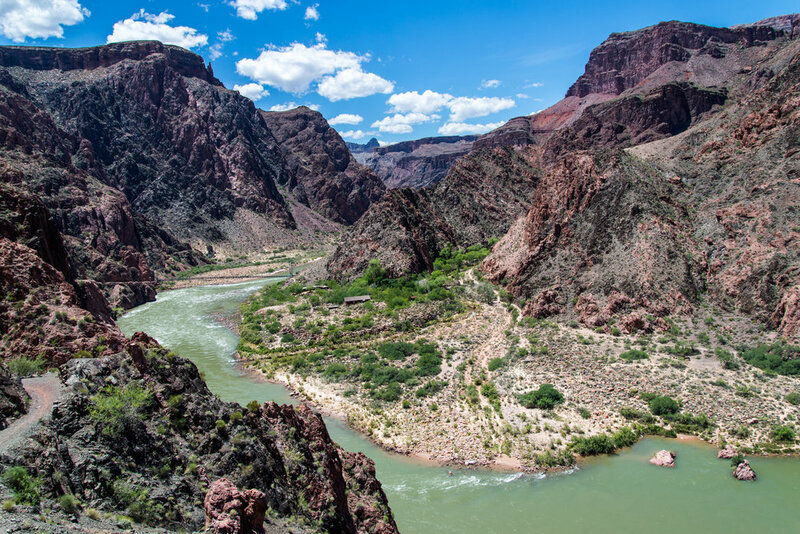 Also, there is NO WATER along the North Kaibab Trail, and a few locations that are usually open (but not always) to fill up with fresh drinking water on the Bright Angel Trail. So it is imperative that you bring enough water for your hike. 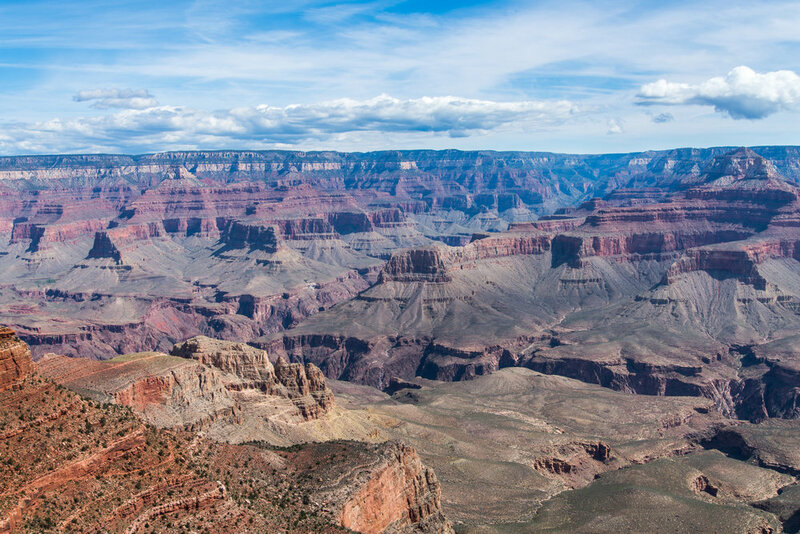 My fourth trip to the bottom of the Grand Canyon (October 27, 2015) was for work. I went with one of my coworkers (Tim), but this time we stayed at the bottom overnight and split the trip up into two days. It was much more relaxing this way! Even though we went at the end of October, it was still hot at the bottom (over 90 degrees!). 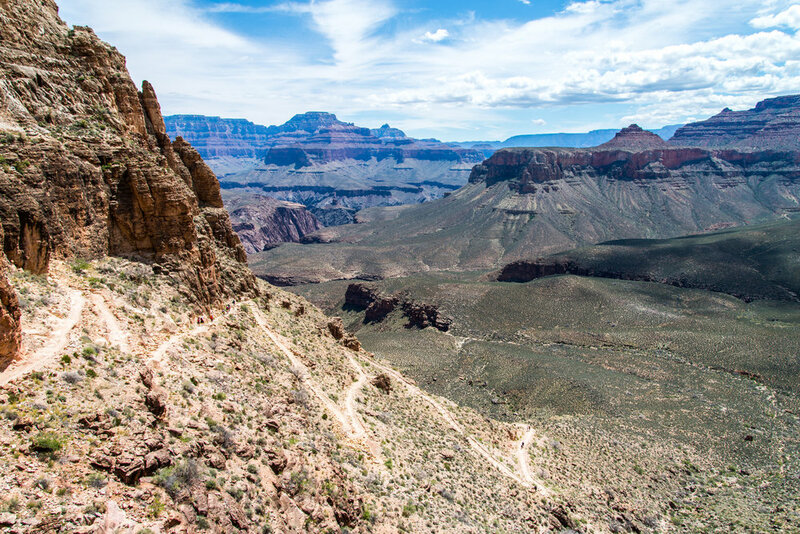 Here are some photos from both trips down to the bottom of the Grand Canyon. My mom and dad as we were making our way down to the bottom of the Grand Canyon. You can see some of the switchbacks on the trail that we just came up. The Mule Deer were quite used to people being around on the trail. Tim clearly pumped the hiking is finally over.